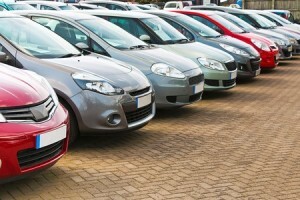 The purchase of a used car can be one of the best investments you can make. There are risks, however, they can be lowered with research, inspection and working with an excellent insurance company. Remember that you always want to inspect cars during the day when you’d have better visibility to check for exterior conditions, driving capability and overall mechanics of the vehicle such as steering and braking. Check its reliability. Your used car must be reliable, so before you set out to buy, do your homework as part of your used car buying guide. Consumer Reports show that for a car that is three years old will have fewer problems with body rust or major transmission or engine problems than you would have experience in the early 2000s. Technology has improved over the last decade. Know the value of the car. Once you find a car that you like, find car reviews to get more information and research the current cash value for your car using online reports like Kelley Blue Book, AutoTrader, or Consumer Reports. You can get a good estimate of the value based on mileage and condition before negotiating the price. Talk to your mechanic. A used car could have major repair or maintenance costs even if the car is more reliable, which should be at the forefront of your used car is buying guide. Simply put, you could buy a lemon even if you know the car’s history. Check for any warranties so you know if future maintenance is covered or not. Even with a warranty, have your potential car thoroughly checked out by your mechanic. Safety. One of the potential drawbacks suggested by this used car buying guide is that you might not get a car that with many of the latest safety features like advanced air bags. However, many other standard safety features like front air bags or anti-lock brakes have been standard on most cars for many years. Resale factors. You can research the resale price by looking at online used car websites. Choose one that will give you the best chance at a top resale price. Since the original owner of the vehicle most likely already absorbed all of the depreciation costs, used cars are typically less expensive to buy than new ones. However, verify the year of the model and condition to get an accurate resale price. ARC Insurance brokers will find you the right insurance coverage for your used car, with an interest rate you won’t find anywhere else. Contact us today for more information.